The Vikings were a fearsome bunch of warriors, renown as much for their prowess as fighters as for their relentless fury in battle. And now, you can harness that fury for your own whenever you wield this traditional LARP Viking Sword. 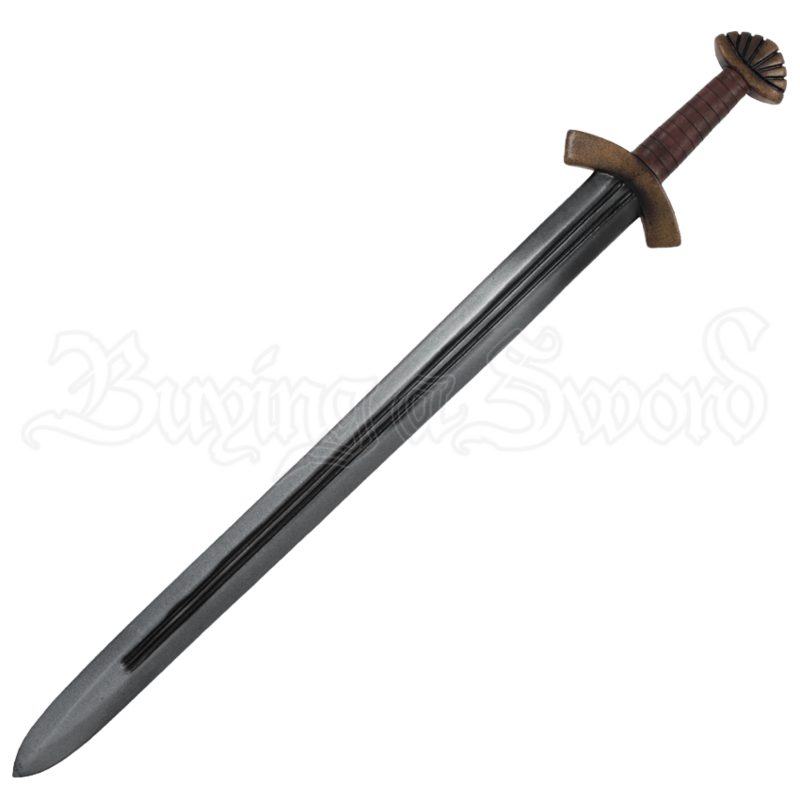 This sword echoes the design of the classic Viking sword, featuring a broad blade that is set with two fullers, which traditionally, helped to lighten the blade. The sword comes to a rounded point at the top, as Vikings were more apt to cut and slash then stab with a sword. The small guard curves gently down towards the blade, providing excellent defense for the hand, in spite of its small size. The grip is wrapped to provide a secure hold, while the brazil-nut style pommel gives the sword a realistic looking counterweight. Unlike the classic Viking sword, though, this weapon is made for LARP combat. It is crafted from an extremely durable foam that does not shred, which has been sealed within a strong coating of latex. As safety is always a concern in LARP, this weapon also features a round, flexible fiberglass core that bends and flexes. The core also features a durable Kevlar cap for added protection, both against the core and for when the weapon is used to stab. Please note that the pommel and guard come in gold, silver, and bronze, while the handle color can vary slightly. Unfortunately we are unable to pick specific color combinations for orders. 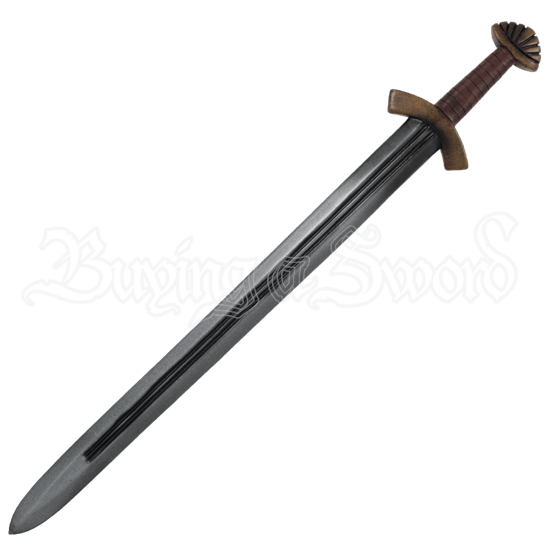 The LARP Viking Sword has an overall length of approximately 38 inches. Please be aware that this measurement can vary slightly, as it is a hand-made item. Measurements will vary slightly, as these are hand-made items.